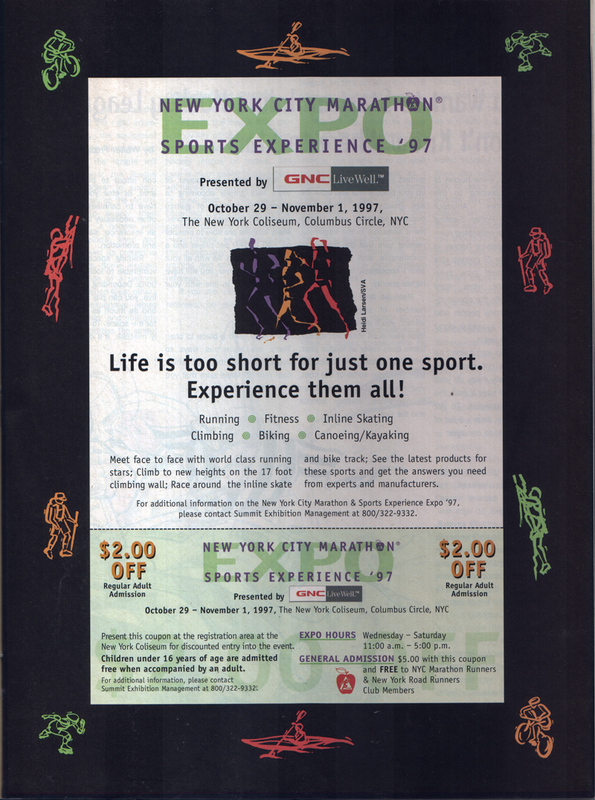 Continuing the WheeledThing excerpts from Inline Magazine, 1997, here’s the editor’s note and facing advertisement for the New York City Marathon Sports Expo. 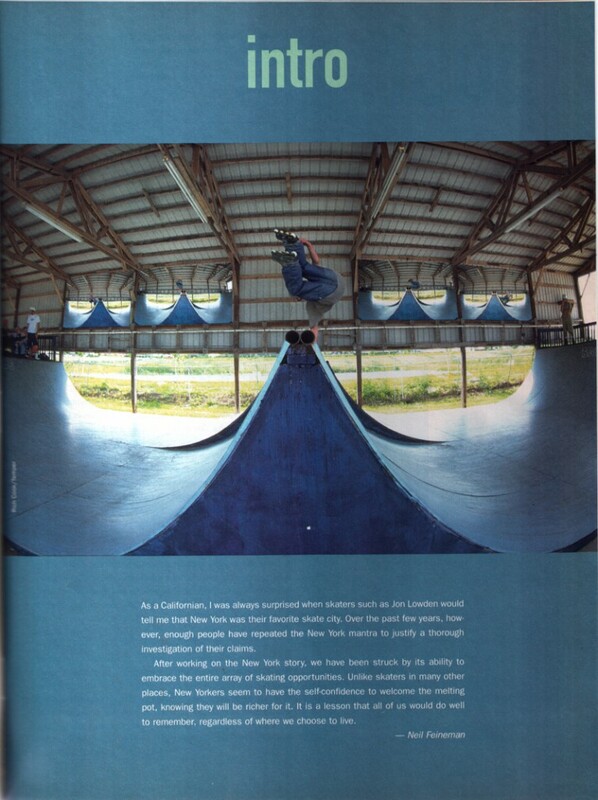 The editor, Neil Feineman, was a journalist who had written about various sports in the 1980s and early 1990s, and who had been tapped to write Rollerblade’s guide to inline skating in 1991. A tribute to New York City as melting pot, a common post-9/11 sentiment appearing here a few years early. Advertisement for the New York City Marathon Expo. I remember these are being incredibly crowded but a source of much swag. The New York Coliseum was a horrible building that was torn down a couple of years after this date and replaced by the much nicer Time Warner Center. This entry was posted in Uncategorized on February 20, 2015 by stern.